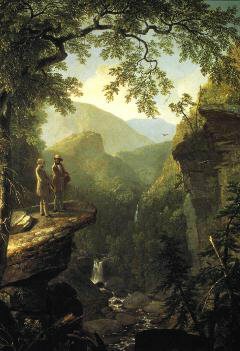 Title, Cole: This poem is dedicated to the painter, Thomas Cole (1801-48), a friend of Bryant's and leader of the Hudson River School of American landscape painting. Bryant and Cole are depicted contemplating a typical Hudson River scene in Asher B. Durand's well-known canvas, Kindred Spirits (1849). l. 3, thy native land: Bryant mistakenly assumes that Cole, born in England, was a native-born American. He later altered this line to read â€œA living image of our own bright landâ€.